Seven teams in the Big Dance is a solid haul. It shows how much the conference has evolved from the days when one could not be confident that the SEC would get four teams in the NCAA Tournament. SEC Basketball Fever — that pejorative reference — is an increasingly distant memory. 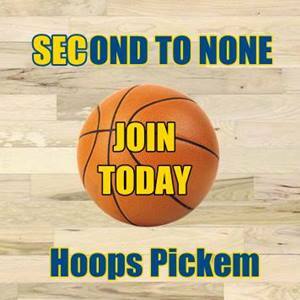 Seven bids should belong to the SEC for many years to come. If anything, one could make the case that seven bids represented UNDERACHIEVEMENT for the league relative to preseason expectations. Alabama is — and should be — terribly disappointed to not make the field of 68 this season. Arkansas should be just as miserable, if not more than Alabama, about the fact that it couldn’t find a path to Bracketville. 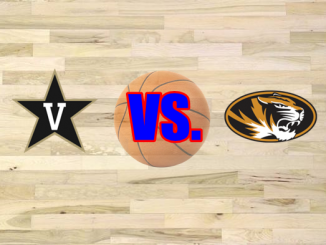 Vanderbilt and Missouri might have been solid teams with Darius Garland (VU) and Jontay Porter (Mizzou). South Carolina somehow hasn’t made the NCAA Tournament in the two seasons after its Final Four run. Texas A&M made the Sweet 16 last year, and now it is looking for a new coach (Buzz Williams). Seven bids feels like underachievement? In many ways, that is the best expression of how much progress SEC basketball has made. The league got more NCAA bids than the always-highly-rated Big 12 (6), and yet the SEC left something on the table at multiple programs AND received bad luck in a few cases (Vandy, Mizzou). This conference has a bright future. Let’s see how bright the present moment becomes at the 2019 NCAA Tournament. Let’s start with the dark-horse teams and move upward to the elites as we evaluate the SEC in the 2019 NCAA Tournament. FLORIDA plays great defense, and the win over LSU in the SEC Tournament showed that when the Gators can get a modest amount of offense, they become very tough. Big men hitting elbow jumpers. The guards and wings tossing in threes. Players attacking the basket and finishing near the tin. Florida becomes a very tough out when it can avoid a prolonged scoring drought and play B-plus offense. This is, to me, the strongest 10 seed by FAR. Florida is the double-digit seed with the most realistic path to the Final Four. Florida can shut down Michigan’s offense. Florida played Texas Tech in a very close NCAA Tournament game last year. The Gators are certainly capable of doing the same this year. Gonzaga’s elite offense would be tested by Florida’s defense in a possible Elite Eight game. The Gators need to realize the difference between a good shot and a bad shot… and make good shots on a consistent basis. If they do, look out. OLE MISS stands out in the South Region because, in a section of the bracket with Virginia, Wisconsin, and Kansas State — teams which love to play slow-tempo games and lean on their defense — the Rebels have the ability to play racehorse basketball and would love to establish a run-and-gun tempo. Ole Miss isn’t likely to win a rock fight, but it would thrive in a track meet. If Ole Miss can speed up Virginia, much as UMBC did, and hit open threes, the Rebels can certainly pull off the upset. Coach Kermit Davis engineered a 15-over-2 upset with Middle Tennessee against national title contender Michigan State in 2016. If he could win that game, he could certainly beat Virginia with the eighth-seeded Rebels. Oklahoma has not looked like a good team for most of the Big 12 season. Ole Miss should feel very confident about its ability to win that 8-9 game. MISSISSIPPI STATE: Ole Miss and Mississippi State are in the same NCAA Tournament for just the second time in history (2002). The Bulldogs face a Liberty team which beat Lipscomb multiple times and knocked the Bisons out of the NCAA field. 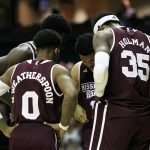 Mississippi State might not have been ready to win this game in early February; Ben Howland struggled to break through to his players at the defensive end of the floor. In mid-February, though, the Bulldogs began to improve on defense and now have more resources entering March. The problem for MSU: Virginia Tech, in a possible second-round game, will get Justin Robinson — its best player — back from injury. Tech is several notches better with Robinson on the floor. AUBURN: The Tigers could beat Kansas in round two. They could beat North Carolina in the Sweet 16. First, though, they have to get past New Mexico State. NMSU might not be the hard part of this game. The challenge might be a combination of rest, focus and logistics. Auburn had to play four games in four days at the SEC Tournament. The Tigers played their tournament final on Sunday, whereas champions of many other conference tournaments play their final pre-NCAA Tournament game on Saturday and get extra rest. Auburn not only didn’t get extra rest on Sunday. It is playing on Thursday instead of Friday at the NCAA Tournament. Moreover, Auburn is playing late Thursday MORNING… at altitude… in a far-away location, Salt Lake City. (Last year, Auburn went to San Diego as a No. 4 seed). Auburn might simply be tired. 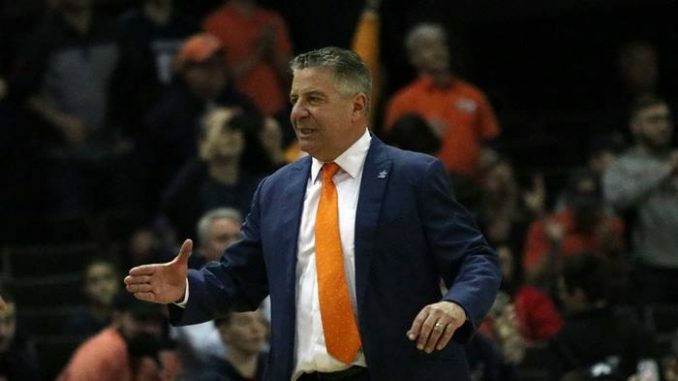 Bruce Pearl needs to rotate bodies, steal a lot of early minutes for his starters, and manage fatigue on Thursday. If AU can get through that, it can sleep two nights in Salt Lake City, adjust to conditions, and move forward. This is a fascinating first-round game against New Mexico State. LSU: Can this team overcome the Will Wade distractions? Will Tony Benford become in 2019 what Steve Fisher became for Michigan in 1989, 30 years earlier? 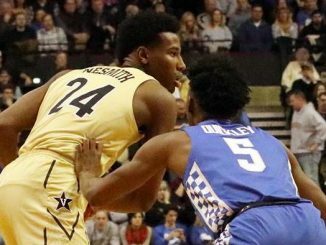 Can Naz Reid become 1988 Danny Manning for the Tigers? Those are the three big questions. We will see. 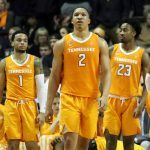 TENNESSEE: The Vols have never made the Final Four, and they are playing teams whose players have never made the Final Four… unless they run into Villanova in the Sweet 16. Tennessee has as good a shot as anyone to win the South Region. 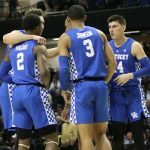 The win over Kentucky this past weekend bodes well for a team which entered March with a lot of questions and has answered them well thus far. KENTUCKY: If Kentucky plays Iowa State in the Sweet 16, the Cyclones could shoot threes and gun the Cats out of the Dance, but ISU is wildly inconsistent. 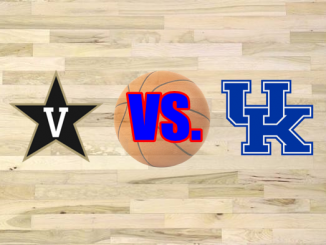 The other teams in Kentucky’s part of the bracket don’t have playing styles which are likely to frustrate Big Blue. UK beat North Carolina earlier this season. With Reid Travis back and healthy, there is no reason to think John Calipari won’t return to the Final Four. That is his region to lose in the Midwest.